Two brothers and an alleged member of the Salt Spring-based G-City gang, have been killed in separate confrontations with the police. 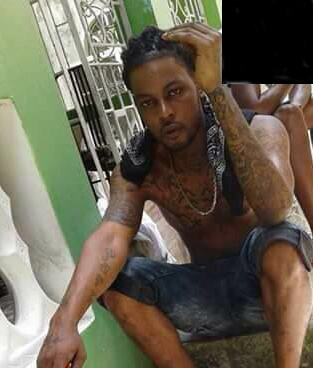 They have been identified as 33-year-old Garth Stewart, otherwise called ‘Gun Dog’, and his 20-year-old brother Davian Whyte, aka ‘Crocs’, both of Cane Curran, Darliston in Westmoreland, and Paul Jay Lewis, also called ‘Jay’, of Cornwall Court, Montego Bay. The police say Jay was a member of the G-City gang which recently threatened the police. The brothers were killed in an encounter with the police in Westmoreland early Wednesday morning. A female relative was also shot during the incident. 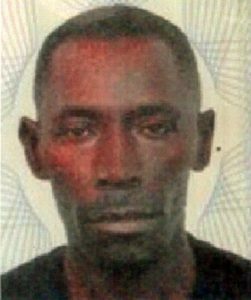 ‘Jay’ was killed when he reportedly engaged the police in a shootout in Old Harbour, St. Catherine on Tuesday. Reports are that the police carried out a pre-dawn special operation in the Darliston community of Cane Curran Wednesday. On the approach of the police at a home where about eight men were seen, the group opened fire on the police. The police say a running gun-battle ensued, following which two males and a female were hit.Two firearms were recovered, a .357 magnum with six live rounds and a Smith & Wesson 9mm pistol with two rounds. All three injured persons were taken to the hospital where Stewart and Whyte were pronounced dead, and the female admitted in stable condition. Police sources say ‘Gun Dog’ was wanted for murder, shooting and illegal firearm. He was also convicted for gun-running in the Grand Cayman as well as held with a weapon in Cuba, from which he is believed to have fled to Jamaica in recent times. ‘Gun Dog’ was said to be an active player in the gun trade. He has been on the Westmoreland police’s Most Wanted list since 2013. Meanwhile, Lewis died from injuries he received during a shooting incident with the police in Red Ground Square, Old Harbour. A Glock 40 Pistol with 12 rounds of ammunition was also taken from him. Reports are that about 6:30 a.m., a team of officers went to apprehend Lewis, who confronted them with the Glock 40 Pistol, during which he was shot and injured. The firearm was taken from him and he was transported to hospital where he was pronounced dead. The police say Lewis and members of the G-City gang recently threatened to kill members of the security forces following the fatal shooting of the gang leader Daniel Whittaker, otherwise called ‘Dan Dan’ in Melbourne, Salt Spring in September. The police say Lewis was a known violence producer in St. James and was the target of several police operations; he however, eluded them and was displaced to Old Harbour. According to the police since the launch of the Zones of Special Operations in St. James, criminals are leaving the area to other parts outside of the parish and as such the security forces have implemented a displacement strategy to capture them. Good to hear that the police have formed a Zones of Special Operations in St. James. We need these operations nation wide and gang groups like the G-City should not be allowed to reign terror in the nation. well done police for removing dangerous criminals or thugs from the streets.